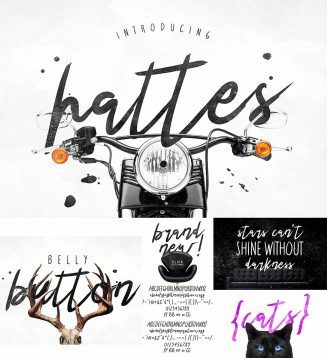 Introducing Hattes- an authentic brush handcrafted font. Perfectly suited to stationery, logos, posters and much more. Tags: brush, display, handlettering, lettering, script, swash, typeface.